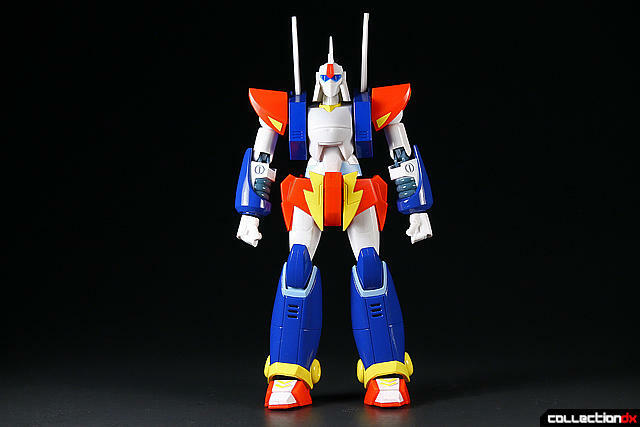 This robot comes from a feature length anime called Doraemon: Nobita and the Steel Troops which was released in 1986. Young Nobita has a couple of friends that have a really cool radio controlled robot. Like any normal kid, he also wants one. He runs back to his house and begs Doraemon (his robotic cat friend with cool gadgets) to give him a robot. Doraemon declines. They argue and they both get upset. Doraemon disappears into his portal door followed shortly by Nobita. Nobita enters the door and finds himself in the middle of the North Pole. Instead of finding Doraemon, he finds what looks like a blue bowling ball. The bowling ball beeps and out of the sky falls a huge hunk of metal. So of course he brings that back to his world with him. He also brings back the bowling ball which continues to beep and parts again fall from the sky. Doraemon shows up and they both realize these parts form a giant robot. They name it Zanda Cross after "Santa Claus" because of it's North Pole origins. After assembling the robot, they realize they can't keep the robot in their house, so Doraemon takes it to the Mirror World which is a replica of earth except everything is backwards and no inhabitants. They modify the robot to allow piloting. They keep the robot there and do as they wish with it without worrying about people or damaging property as damaging property there has no effect on the real world. They travel back and forth to mess with the robot and bring with them their friend Shizuka who is allowed for a moment to pilot the mech. Piloting the mech is easy. You simply hold a mind controller in your hand and think of what you want the robot to do. She of course makes the robot ballet dance. In all the excitement she decides to hit an unknown button and this unleashes a weapon which takes down some buildings. It's at this time that they realize Zanda Cross is a weapon. They promised each other to leave the robot there and never speak of it. Meanwhile Lilulu, a robot girl from a distant planet, is in search of the robot. Nobita encounters her and accidentally slips and mentions the robot. She needs to take control of the robot because she has plans for it. Nobita takes her there and when she approaches The robot, she calls out to him. His actual name is Judo. Judo/Zanda Cross doesn't respond. She realizes he was assembled without a brain. He normally acts on his own when he has a brain. The brain happens to be the blue bowling ball. They all soon realize that she needs the robot to help her enslave the humans on earth. If you want to know the rest, you're going to have to watch the show! 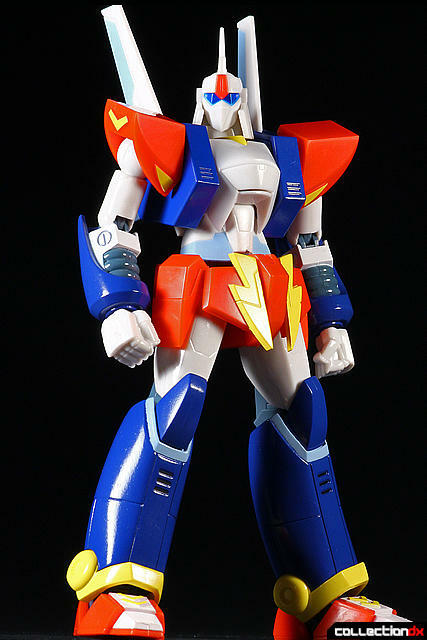 This figure is 093 in the Robot Spirits line. The set is based on a new remake of the 1986 anime film. There is only a very slight difference between the robot in the remake and the robot in the original feature film. 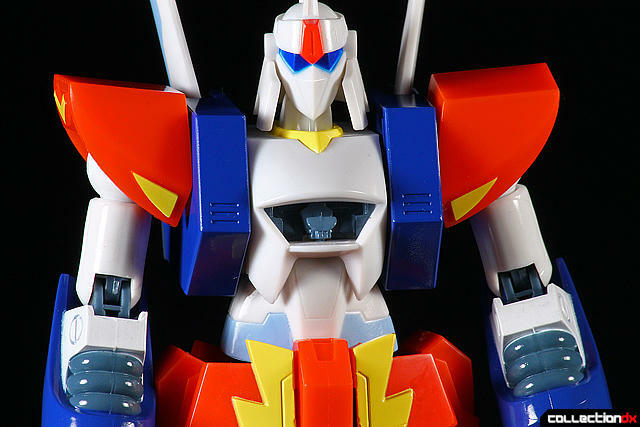 The box is not your typical Robot Spirits box. It has a more playful design that is covered in characters from Doraemon: Nobita and the Steel Troops. Doraemon is prominently displayed in the lower left corner. The back of the box has exciting graphics that are pleasing to the eye. The figure is secured in a clamshell plastic tray. Here is Zanda Cross in a standard pose. 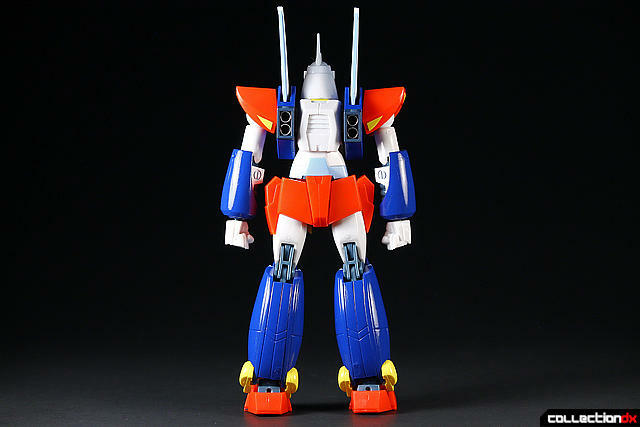 The figure has very good proportions which are faithful to its onscreen appearance. 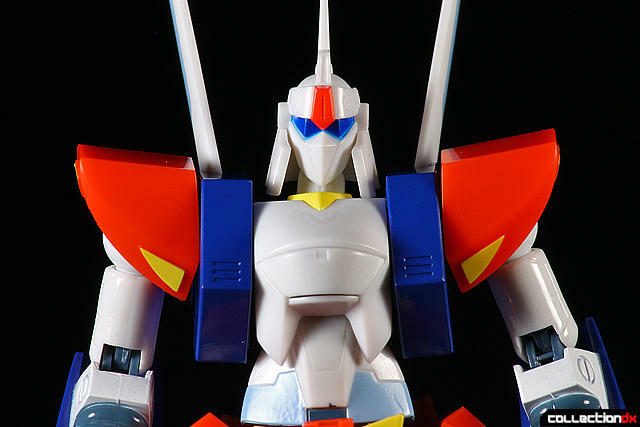 Since this figure is based on the remake, the wing binders are colored white instead of red as seen in the original film. Although the sculpt is really sharp, up close the figure seems to be lacking a lot of detail partly due to such a basic color scheme. Some quick panel lining with some Gundam Markers should make this sculpt really stand out. See that tiny spike on top of his head? Keep an eye out on that thing, it falls off and gets lost VERY easily. Fortunately Bandai provides you with a spare spike. This replacement spike however is made of PVC and not plastic like the standard one. 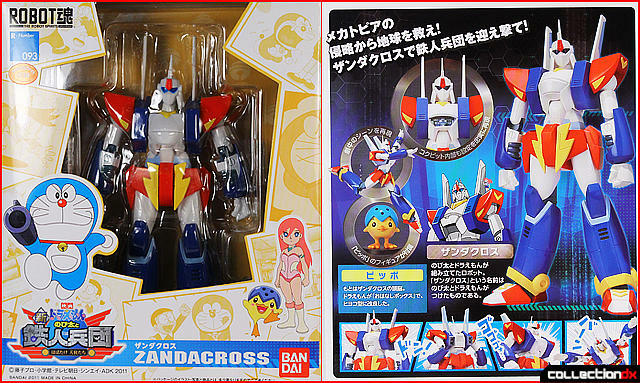 Zanda Cross is highly articulated. From head to toe, he has a good range of movement. 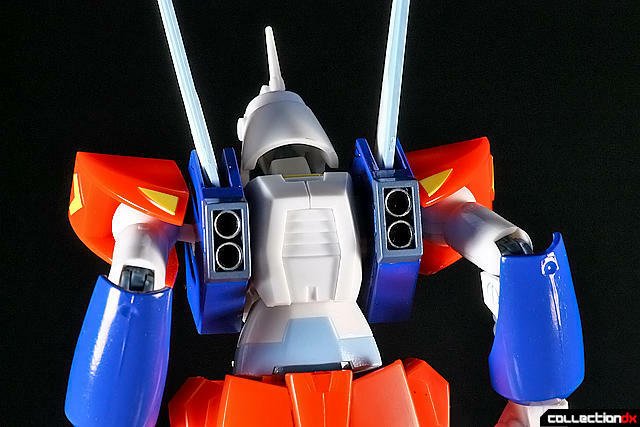 His skirt panels even move out of the way as they do on Gundams (most notably the MSN-100 Hyaku Shiki). 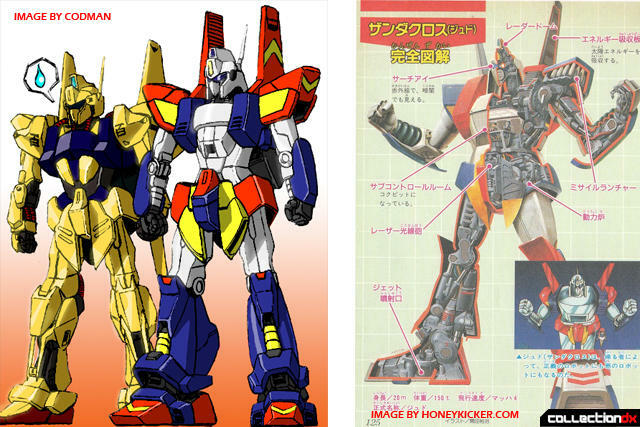 Many people believe that Kunio Okawara had his hand in designing this mech, but in actuality, this mech design was done by Takaya Kenji who is also a manga artist. Check out the striking similarities below. Even the inner mechanics are similar. He's articulated enough to pull off an honest kneel. If heroic jumps are your thing, he can do those too. ...he's got boosters out back. 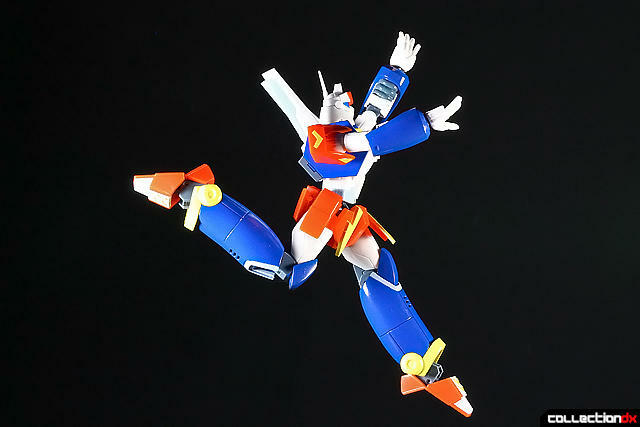 The scene where Shizuka causes Zanda Cross to skip and leap with the grace of a ballerina can also be reproduced with the included alternate hands. Sadly there is very minimal gimmickry to be seen here. All he has is this teeny little cockpit from where the kids would pilot him. As far as accessories go, they too are very minimal. 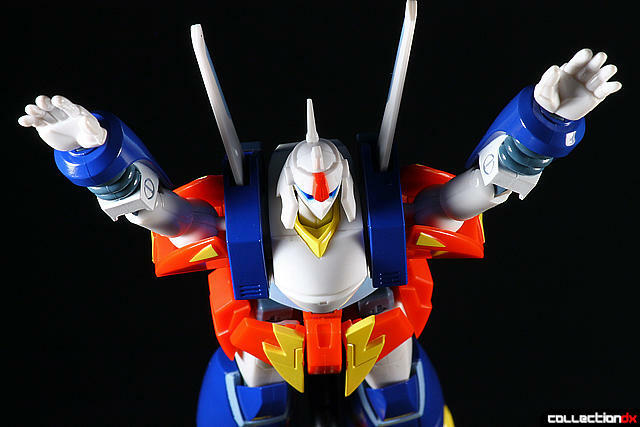 He has four alternate hands apart from the standard fists that come attached from the box. 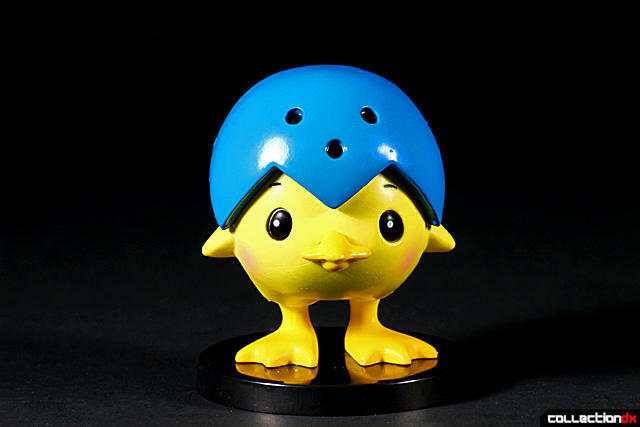 He also comes with the little blue bowling ball- Pippo A.K.A. his "Brain". He is basically the A.I. for Zanda Cross. Although you see him here as a hatchling, he remains in ball form throughout the original film. In later videos I saw, they throw the ball into rice cooker and out hatches this little chick Pippo. Yeah. Overall, a pretty fun figure and a great addition to the Robot Spirits line. Admittedly, it's not for everyone. I initially thought it was a bit plain and realized the design borrowed heavily from Gundams but my interest was stirred after watching the film. 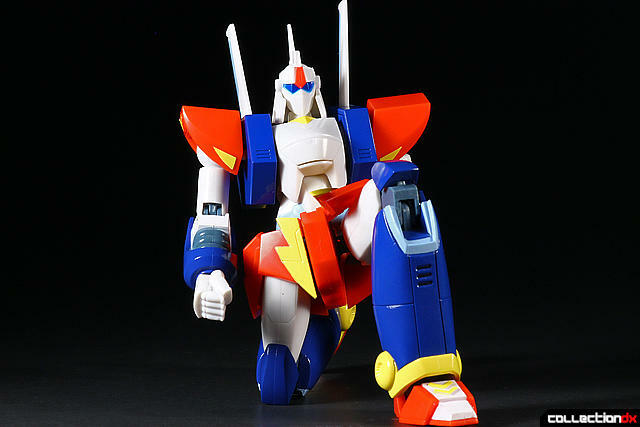 Even if there was no film to go along with this robot, it stands on its own because its a solid figure. 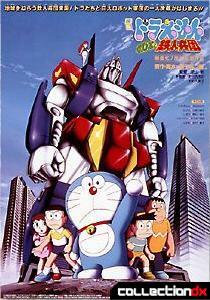 I've never seen any Doraemon but I must see this movie just for the glossy 80's mecha. This is new to me! 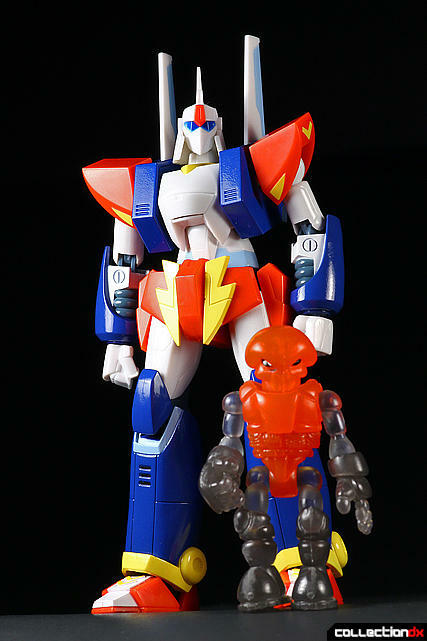 I didn't know there was a Doraemon related robot! 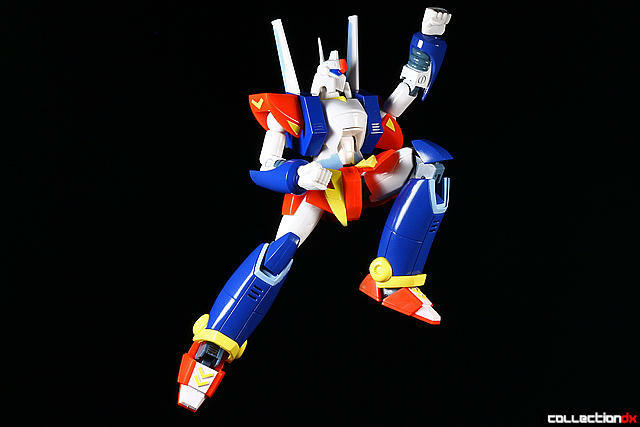 This is so funny especially with its weird connection to Zeta Gundam. LOL! So cool, I need this! Thanks for the review.